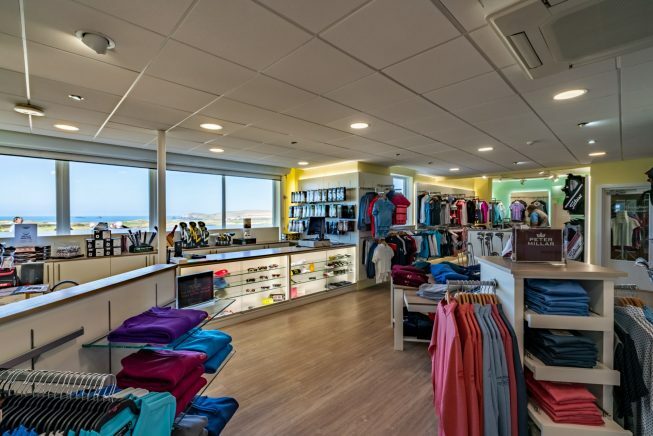 Adjoining the Golf Shop, this little pocket of indulgence stocks an extensive range of formal, casual and golfing wear for ladies of all ages and style preferences. 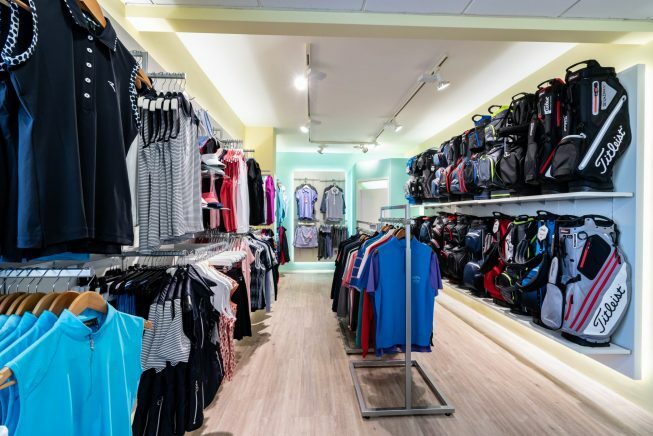 Complete with some of the world’s leading labels and latest ranges, including the latest collections from Golfino, Rohnisch and Daily Sports, the Boutique might just provide the answer for all your wardrobe needs and desires. Come on in and treat yourself, or spoil someone else! If you are visiting the club and don’t have the necessary equipment, we have the latest golf clubs to hire, as well as a fleet of buggies and electric trolleys to help you through your game. 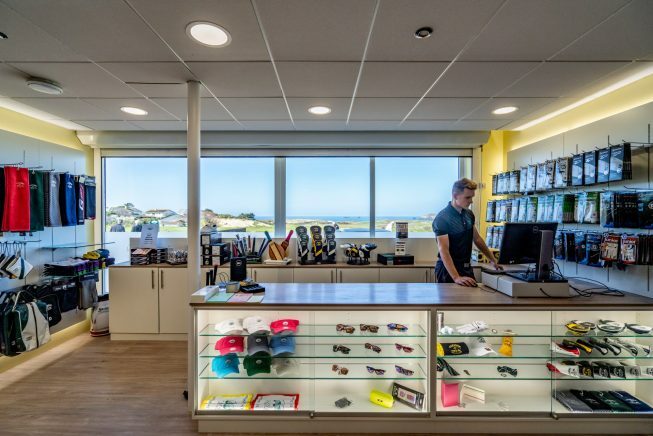 To reserve any of the above rental equipment please call the Golf Shop direct on +44 (0) 1841 520261. 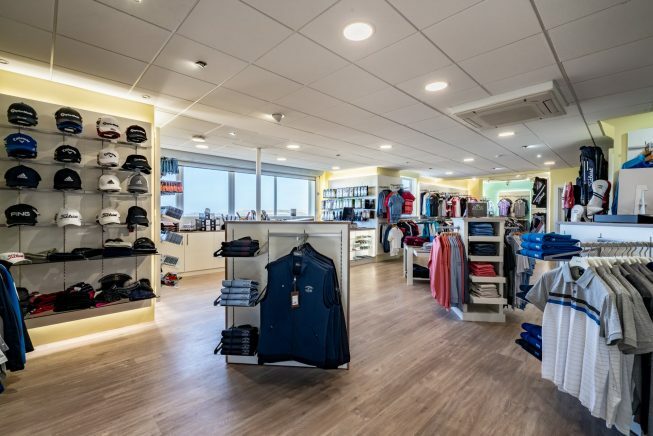 Open 7 days a week, from 7.00pm to 7.00pm the golf shop has all the latest equipment, clothing and accessories – so you can step on to the first tee safe in the knowledge you’ll look (and hopefully) play your very best! Our excellent team of professionals are on hand to offer impartial advice in all aspects of golf and retail. Hardware brands in stock include: Callaway, Ping, Titleist and TaylorMade. Hit the fairways in style wearing the latest fashions from Under Armour, FootJoy, Peter Millar, Nike, Ecco, Galvin Green, Glenbrae, Wolsey, Tommy Hilfiger and Oscar Jacobsen. Please note custom club fitting and club repair services are also available.